With the kick-starting of a new pre-planned trilogy, the “Star Wars” saga has greatly matured since George Lucas’ prequels. 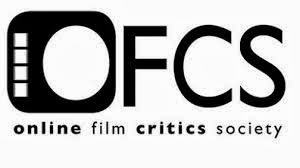 Despite purists steeped in everything “Star Wars” being persnickety about it being a beat-for-beat retread of 1977’s “Star Wars: Episode IV - A New Hope,” 2015’s J.J. Abrams-directed “Star Wars: Episode VII - The Force Awakens” was comfortably reverent in bringing together the past and future, while still forging its own path as a breathless, enormously satisfying entertainment with scope, heart-pumping excitement, and well-drawn characters that evolve. With that said, the second chapter in this third trilogy, “Star Wars: Episode VIII - The Last Jedi,” simultaneously parallels and subverts similar beats from 1980’s “Star Wars: Episode V - the Empire Strikes Back,” with auspiciously bold results. 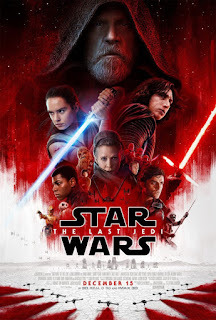 The mere nature of a middle chapter in a trilogy can sometimes be an unenviable task, moving the story along without finding a real conclusion, and while “The Last Jedi” suffers a bit from that structure, there is a whole lot to like and recommend here. Writer-director Rian Johnson (2012’s “Looper”) is given the keys to the “Star Wars” saga, and though it is George Lucas who created this world, there is a singular vision here and a successful attempt to deepen characters we have known from the beginning. Still in the midst of a galactic civil war with the First Order, led by Supreme Leader Snoke (Andy Serkis), the Resistance, led by General Leia Organa (Carrie Fisher) keeps fighting to restore hope in the galaxy. As General Hux (Domhnall Gleeson) has located the last remaining rebel base, cocky pilot Poe Dameron (Oscar Isaac), with best droid buddy BB-8 in tow, isn’t going down without a fight. 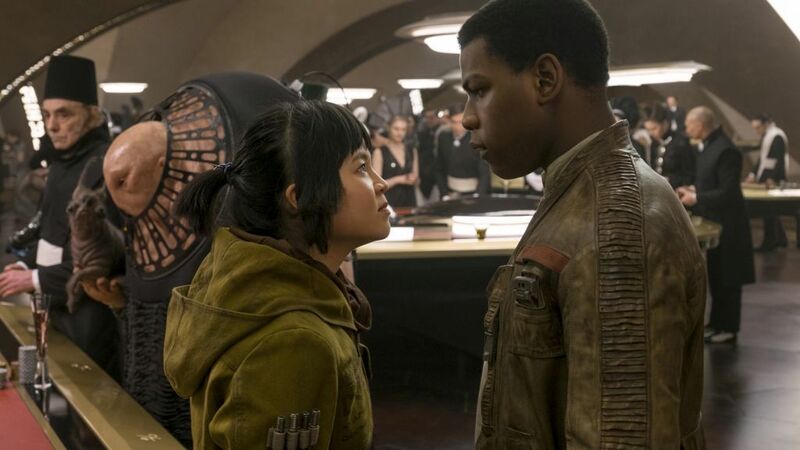 Meanwhile, reformed Stormtrooper Finn (John Boyega), with help from maintenance worker Rose (Kelly Marie Tran) whose sister recently sacrificed her life for the sake of the Resistance, go on a secret mission to shut down First Order’s tracking device. After the Force awakened in Jakku scavanger Rey (Daisy Ridley), she is on the oceanic planet Ahch-To to present the lightsaber to Jedi Master Luke Skywalker (Mark Hamill), who has long been hiding. Having mentored newphew Ben Solo/Kylo Ren (Adam Driver) and seeing where that got him, Luke lives his life as a hermit and cannot be bothered with Rey and Chewbacca (now performed by Joonas Suotamo). Rey won’t leave until she’s trained in the ways of the Jedi, as she doesn’t know what to do with the Force. Once Rey begins communicating with the enemy through the telepathic abilities of the Force, there is a possibility of being lured to the Dark Side. Breaking his narrative into three planes that eventually converge, “Star Wars: Episode VIII - The Last Jedi” sometimes seems to be biding time and spinning its wheels a bit, but once it finds its footing and pushes forward, it more than counts as a worthy, stirring and entertaining episode with actual loss and consequence. 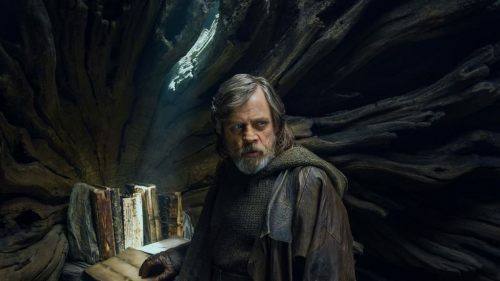 “This is not going to go the way you think,” says Luke Skywalker to Rey in a piece of dialogue that holds true to the film itself. “The Last Jedi” makes the old good vs. evil trope feel so simple and old-hat, opting for more complicated humanity that doesn’t play it safe and surprising story developments that end up not just being forgone conclusions. The most dramatically intriguing element is the mirrored bond between Rey and Ben Solo/Kylo Ren. The force connects them, but they have both chosen different paths and each one wants the other to join their respective side. In making this link and their personal arcs believable, Daisy Ridley continues to sell the scrappy resourcefulness and vulnerability of Rey, and Adam Driver is even more compellingly conflicted as the wrathful son of Leia and the late Han Solo. The film even welcomes a lighthearted, often irreverent (but rarely ever forced) sense of humor, spreading not only to Poe (Oscar Isaac, once again bringing an engaging Han Solo-like recklessness) but to most of the characters. With the baggage of her passing last year, it is bittersweet to see the late, great Carrie Fisher, warm and fiery as ever, make her final performance as Princess-turned-General Leia Organa and come full circle with the role that first put her on the map in 1977. When Vice Admiral Amilyn Holdo (Laura Dern) has a final word with Leia, it feels like a respectful and poignant farewell, as does Fisher’s long-overdue reunion with Mark Hamill, who delivers vital work in his own right as the now-weary Luke. Of the additions to the series, Kelly Marie Tran brings a mix of tough and sweet as Rose, a winning foil for John Boyega’s Finn, and Laura Dern brings her fierce presence and a daring heroism to next-in-command Vice Admiral Amilyn Holdo.